Despite this year's long, cold spring, we've been on the water quite a lot. 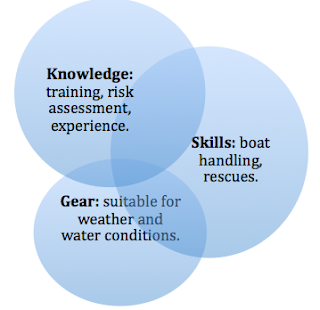 This has been both possible and pleasurable because we have the three pillars of safe paddling, which are especially applicable in cold weather: knowledge, skills and gear. Sadly, not everyone who goes out to paddle has all three. 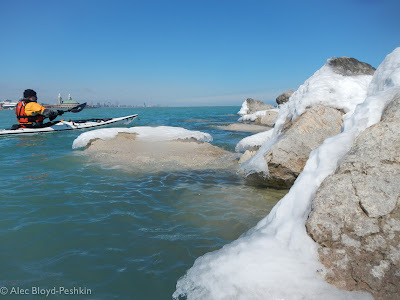 Early in the season, the lake beckons anyone with a boat. 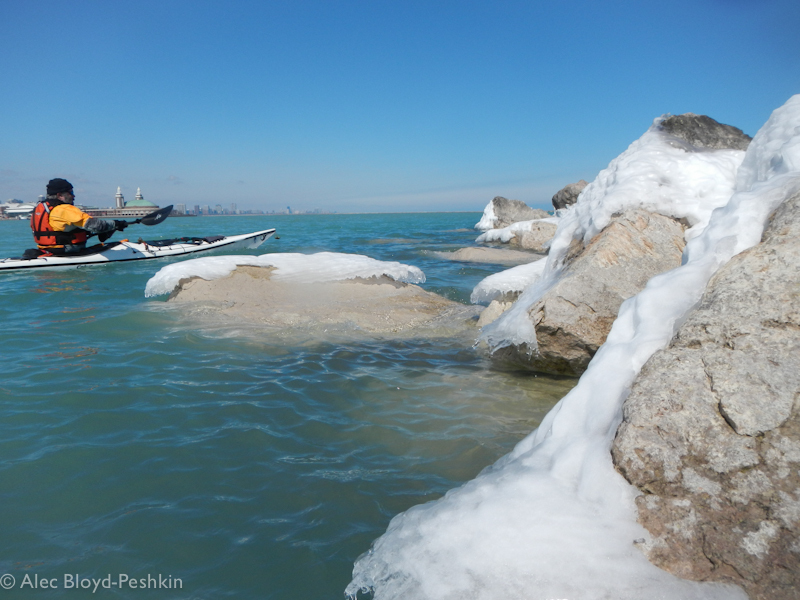 We've seen plenty of unprepared paddlers wearing light clothing and lacking solid skills, oblivious to the dangers of cold water. Some get away with it; others become statistics. 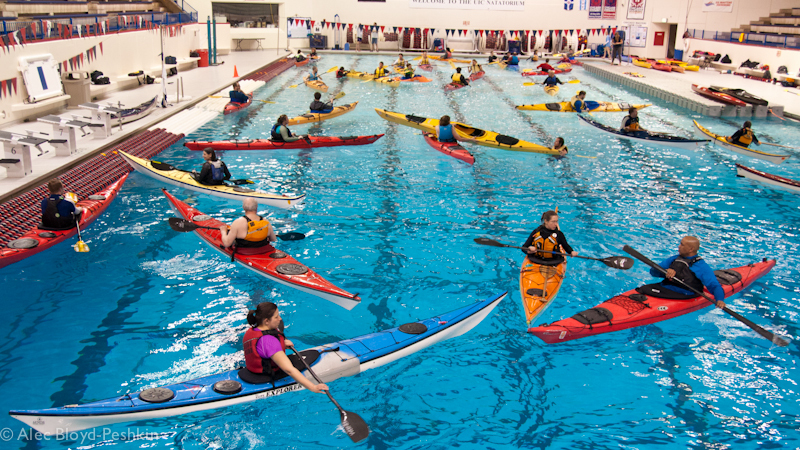 More than 100 people drowned in the Great Lakes in 2012. An unfortunate number of them were people paddling kayaks who weren't prepared for the conditions they encountered. 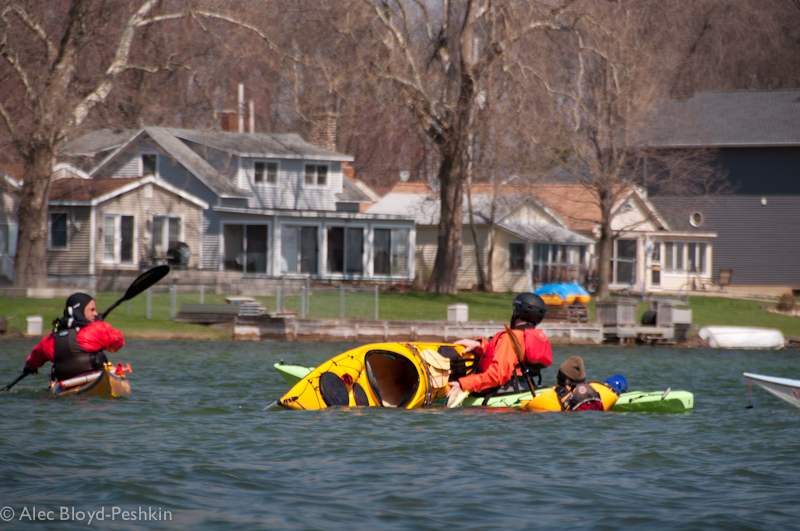 Police reports and news stories are quick to call these people kayakers--a label that makes us queasy because it reflects poorly on paddlers with the training, equipment and judgment to stay out of conditions they can't safely handle. 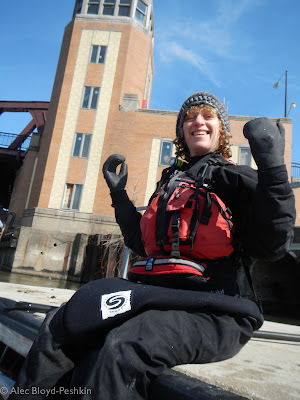 Drysuit, mitts and a wool hat on a chilly April afternoon. Skills maintained in the pool translate to the lake. Rescue practice in cold conditions. The reward is a lake almost devoid of motor boats. 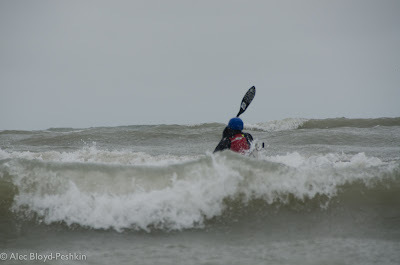 And a longer paddling season. 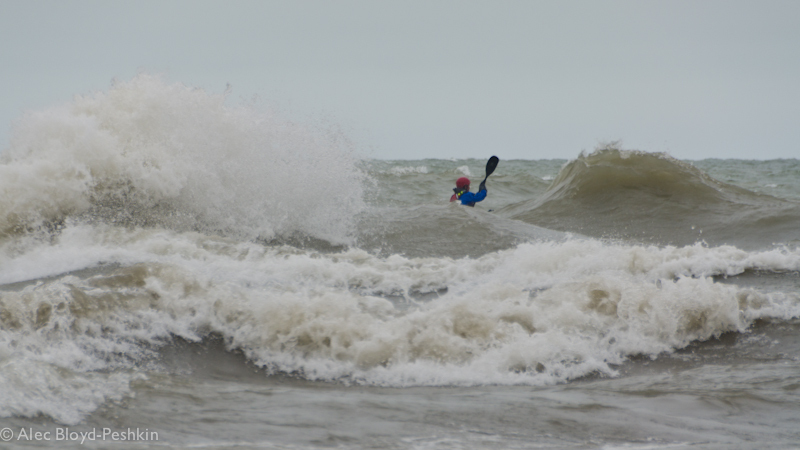 Alec confronts a big wave. Sharon paddles back out for another ride.